Companies are having a much harder time selling than previously. Not only are sales lower, the ones that get done require longer sales cycles and tougher negotiations with customers. In the end, it amounts to less revenues and higher costs. Our struggling world economy takes part of the blame here but there are other factors at play. One of the more important ones is a fast changing market dynamic, mostly brought on by ecommerce and social media, in the last few years. The impact is currently stronger in the B2C realm but it is crossing over to the B2B side quickly. Somewhere in the world another business is now giving your customers exactly what they want product, service and/or customer experience wise. 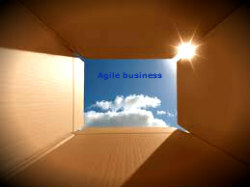 What hasn’t changed much however in the last decades are the business models we use in day to day business management. Most companies are still managed with hierarchical structures within functional silos. These structures result in information flow blockages and longer reaction times (the larger the business, the longer the reaction times). Business models that would enable agile selling would therefore be ones that take into account the necessity to always be in tune with customer/user needs and the short reaction time that most companies now face in order to keep being relevant to their customers. Techno Marketing blog’s next post will look at business models that answer these new realities. Business models and processes for agile selling Lean Enterprise’s Business Model My best marketing reads of 2014 Business Experiments: A better way to manage your business? The big secret to selling for startups Is Innovation Accounting Going to Change the Way we Do Business?